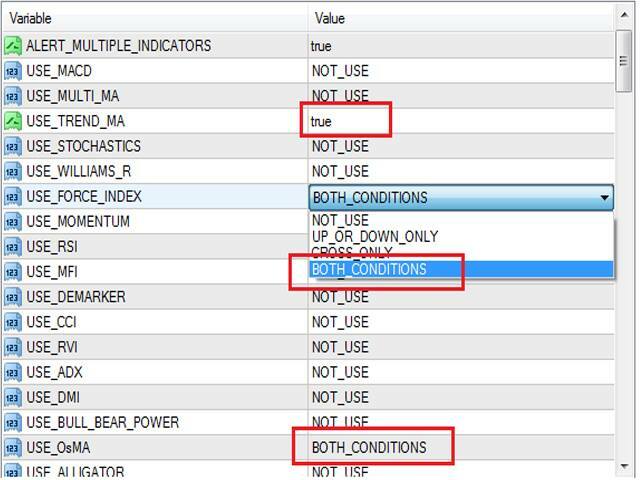 This indicator will generate signal from other indicators like RSI, MA, Force Index etc into one confluent signal. Which indicators to be used is up to the users to decide. You can add a simple MA, OsMa, RVI and ADX to see how these indicators will work out when combined together, an arrow will be drawn onto your chart where confluence happens. And if that combination doesn't seem so good, then tweak the setting a little bit or remove it completely or add another different indicator, as you prefer it, quickly and easily. 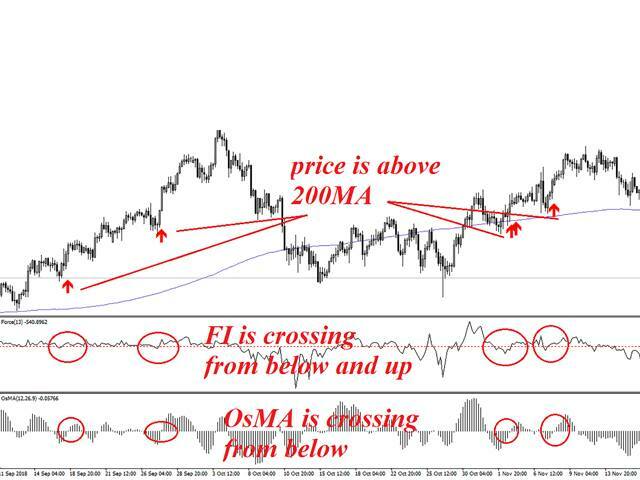 - Support MACD, Multiple Moving Averages (unlimited numbers of MA for cross, down, up, or both), Stochastics, William's Percent R, Force Index, Momentum, RSI, MFI, DeMarker, CCI, RVI, ADX, DMI, Bull & Bear Power, OsMa, Alligator, AO, AC, AD, OBV (Note: it won't add any separate screen into your chart, screenshots are for illustrating purpose only). - All indicator settings are fully customizable. - Alert for all timeframes (if a signal happens on the H4 chart and you are looking at the M30 chart, it will also alert you what is happening on the H4 chart). Ideal for tinkering with different indicators and create your own new trading strategy, or made it even simpler for your old strategy everytime when confluence happens, this indicator will give an alert and print out an arrow on the chart. Feedback for improvement is appreciated. Other parameters will also be similar to what I have explained here. 1. Re-add some default parameters for default setting instead of leaving all setting to blank. 2. Alert pop-up for current timeframe can now be turned on or off with ALERT_POPUP_FOR_CURRENT_TIMEFRAME parameter.